→Want Great Clean Water? We Have The Best Water Cooler Dispenser Here! Your complete buying guide to choosing the Best Water Dispenser, the things you all need to know and the Best Water Dispenser Reviews. Find them here! Don’t have place for your water? 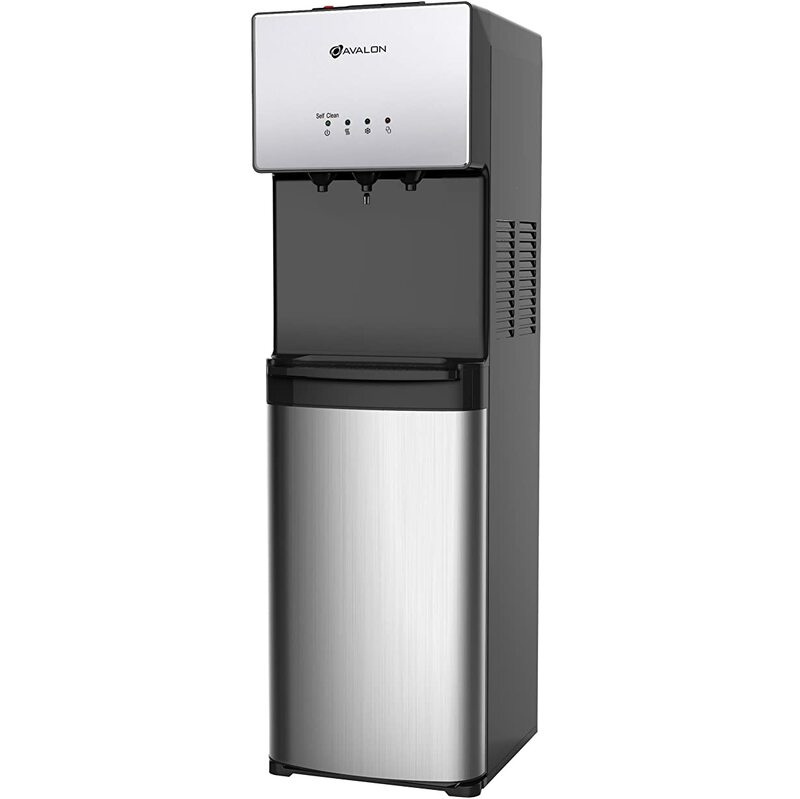 Or do you just want to try the benefits out of a quality Water Dispenser? Water Dispensers are best known for their wide numbers of uses and benefits. They have been used by lots of people all over the world and mostly of great help in coffee shops, bars, and more! But even at home, we find it even more useful. They are used to store water and even help us cool them whenever with need the cold summer drinks! But hey, they can help you make hot beverages as well by just a touch of a button! Come on! Let’s take a look at the Best Water Dispensers there is! How do Water Dispensers work? Why should I get a Water Dispenser? 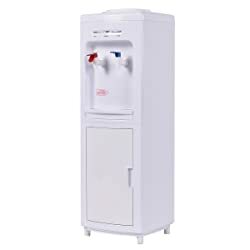 What are the factors that I need to look out for before buying a Water Dispenser? A Water Dispenser is a kitchen or household appliance or device used to hold your water and supply them to you. There are actually many ways to call a Water Dispenser. Water Dispensers can be called as Water Coolers, Water Containers or even Water Pitchers. It is because they are known to either cool your water or heat them. Knowing that they hold your water, they can also be called containers or pitchers. Water Dispensers can both be electric or manual. Electric Water Dispensers are those with more features and are usually those that have the function to cool and heat your water. Manual Water Dispensers are those with no use of electricity. They just basically hold your water. Cooling your water with them would require you to place ice inside it. Heating water with manual Water Dispensers is not so possible. Though it may be able to carry the water that you have already heated with a different method. All of these three can be pretty much the same. Although they all come in different shapes and sizes. 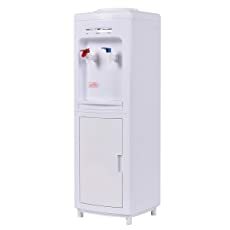 To place your water into the dispenser, you first must have a container or a water bottle to connect it with. Almost all freestanding and tabletop water have their water bottles placed on top of them. The tip of the bottle will then be connected to a hole in the middle of the dispenser. There, the water will start flowing down to a storage inside the dispenser. As for bottom-load water dispensers, they have their water bottles at the bottom. The dispenser will have a suction tube inserted into the tip of the bottle and then place the water inside its storage. Nowadays, these three are built to be electrical and have more features than they were before. They are able to heat and cool the water in their storages once you make them. They are also able to separate the heated water and the cold water in two different internal storages. These water fountain dispensers do not need a water bottle just like the Tabletop, Freestanding, and Bottom-load Water Dispensers. They tap into a water line. They have an unlimited amount of water supply since it is connected to a water line. The Point of Use Water Dispenser keeps going on and on until someone tries to drink from it. Like the name itself, these are dispensers mounted to walls. They also don’t need water bottles. They are similar to Point of Use Water Dispensers for they also use a water line. You can mostly find them in parks and also in office buildings. Wall Mounted Water Dispensers can be electric and manual. In parks, they mostly just function as a water fountain. But in places where electricity is available, they can do other functions such as heat, cool and filter the water. You can say that Direct-Piping Water Dispensers are like Bottom-load waters, only that they don’t require a water bottle. You connect them directly into your in-house water source or water line. They have a filtering system within them and your water will pass four stages of the filtering process. These stages are called Sediment, Pre-Carbon, Ultra-Fine, and Post-Carbon. The Sediment Stage is responsible for removing any un-dissolved particles such as dust, sand, rust and other harmful chemicals. The Pre-Carbon Stage is the one that removes residual chlorine and any organic chemical. Even those bad taste and terrible odors. The Ultra-Fine Stage removes bacteria and clay particles in your water. They also make sure that suspended metal hydroxides, colloidal silica, bacterial decomposition products and even the other suspended materials are removed. And the last stage of all, the Post-Carbon Stage, ensures that nothing was left over from the previous stages. It further continues to remove terrible tastes and smell. Because of that, it increases water purity and makes your water taste much better. These dispensers act as pitchers for your water. Other than releasing water with buttons or taps, you can just pour your water directly. They can be manual and electric. Most Pitchers nowadays contain filtering functions. Some even have heating and cooling features. Almost all the water dispensers nowadays have filtering functions that purify your water from any impurities. However, little do most people know that sometimes the water we drink are not exactly a hundred percent healthy and pure. But once it is filtered, you can guarantee that the water you drink would be tastier and in addition, they will replenish your body satisfyingly. Your water dispenser could even supply more water than needed. And with that, your water could last for weeks and still stay healthy. Storage is always important. And sometimes with the container and the great capacity, we learn to even save more and store more. Trust me, they can make getting water easy and you don’t even have to put so much effort to it. Just simply press a button and it could send water pouring directly into your cup. Unlike manual dispensers, you have to carry that load of water for yourself and pour it with care and precaution. But this, it’s easier! And it can be more fun too just by pressing a button or doing the tap. The water dispenser can have all the functions you need when it comes to water. Need hot water for your coffee? You can just tell the dispenser to do that for you! No more heating water in a kettle or in a separate heater. Just directly pour water from the dispenser onto your coffee mix! Want iced tea? Or a chilled juice? The dispenser can cool water for you and it can be poured from a separate tap. What’s much better is that inside the dispenser, it keeps the water cooled once it is, well… cooled! And there won’t be much electricity needed for that since its storage is built with the necessary materials to make sure it stays cooled. 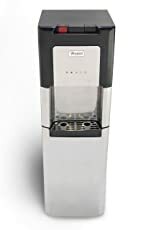 What kind of Water Dispenser do I want? Try choosing from all the 7 different kinds. Perhaps you might just want a small tabletop dispenser. But that is definitely up to you. 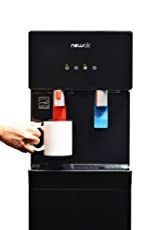 Should I choose an Electric Water Dispenser or the Manual Water Dispenser? There are those times that maybe you just want to live simple and when you do, even the manual water dispensers do just fine for you. But if you would like to save more and have everything in just one dispenser, like the filtering, cooling, heating and purifying functions, then it would be best for you to get an electric water dispenser. Would there be space for it on where I want it placed? Some Water Dispensers can be really huge and some are built to fit into small spaces. Tabletop Water Dispensers fit just perfectly for, well… tabletops! Wall mounted Water dispensers are also known to save more space since they are considered small and doesn’t always get into the way. 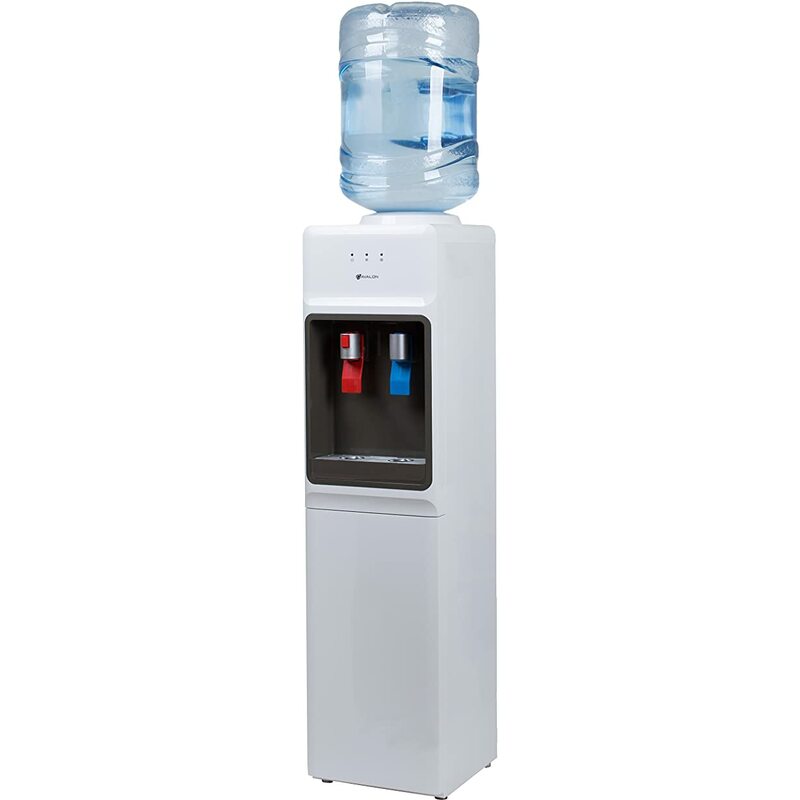 Choose a Water Dispenser that will just fit right into the planned spot you are going to place it. Would it be easy to refill water into it? Refilling water into the water dispenser can be quite a pain when we know some water bottles are just so darn heavy! Unless of course, you go for water dispensers that require water bottles. You can go for water dispensers that are just connected with your water line or source. However, dispensers that need water bottles are not all that bad and only require you to refill it once in a while knowing that storage is big and can save you water for weeks. Will this purify my water or not? Now, not every water dispenser is able to purify every water. Manual water dispensers don’t actually do these. So it’s like asking yourself again whether you want an Electric Water Dispenser or a Manual kind. However, not all electric water dispensers are able to purify water either. Although most of this generation is building almost all the water dispensers to have the purifying and filtering function and feature. You just have to look out for this factor is you decide which one you want. Dispensers with filters can come out more expensive that the others. Out of all the different kinds of Water Dispensers, we have decided to focus on making a review out of water pitchers. To make things a lot more simple, short and easy, all the products will be reviewed according to their pros and cons together with its final rating. So did you make your choice? There are lots to choose from especially the different kinds you will see in stores. However, they are all not that bad. They just have their specialties in a different field. Some are good for a certain purpose and situation and some are good depending on what kind of water dispenser you would want to have. Well, you have reached the end of the article. How do you find this article so far? Was it helpful? Was it able to help you choose the best pitcher water dispenser that you like? If so, I’m glad! Please be sure to like this article as well as share it to friends, family and to people around the world! Thank you so much for taking your time on reading this article.